Jacob Rigolet, soon-to-be former assistant to a wealthy art collector, looks up from his seat at an auction—his mother, former head librarian at the Halifax Free Library, is walking almost casually up the aisle. Before a stunned audience, she flings an open jar of ink at master photographer Robert Capa’s Death on a Leipzig Balcony. Jacob’s police detective fiancée is assigned to the ensuing interrogation. 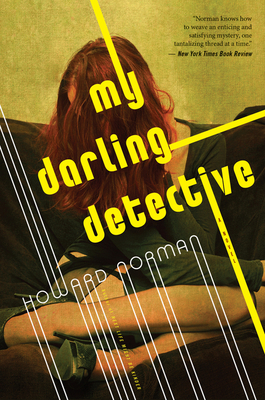 My Darling Detective delivers a fond nod to classic noir, as Jacob’s understanding of the man he has always assumed to be his father unravels against the darker truth of Robert Emil, a police officer suspected of murdering two Jewish residents during an upswing of anti-Semitism in 1945. The denouement, involving a dire shootout and an emergency delivery—it’s the second Rigolet to be born in the Halifax library in a three decades—is Howard Norman at his uncannily moving best.